Presently, the number of mobile users has increased unlike before. It’s because of the growing technology and the lack of time tech-savvies are more into checking the apps on their smartphones more than the desktop websites on their PCs or laptops. Besides Android, Windows, BB etc, iOS has also made a cult of its own. The Apple product users have to depend on the iPhone apps that are built for the iOS exclusively. Today, iPhone is the hottest and the most expensive mobile handsets for its sophisticated technology and impressive designs. The iOS apps have opened a new horizon in the eCommerce business. Gamers are also happy to get the support on their iPhone. The apps are now lucrative tools for launching new products, games, and movies in the market going gaga over the fresh apps. The process of iOS/iPhone App development is complex, time-consuming, and expensive. Hence, if you are intending to develop such an app for the iPhone or Mac users, you need to have a mind-blowing idea first. The app should be attractive, user-friendly, spiced up with all the ingredients to compete with the existing competitors in the market right now. It should be simple yet amazing and the flow of the pages should be smooth so that the users enjoy the 100% UI. 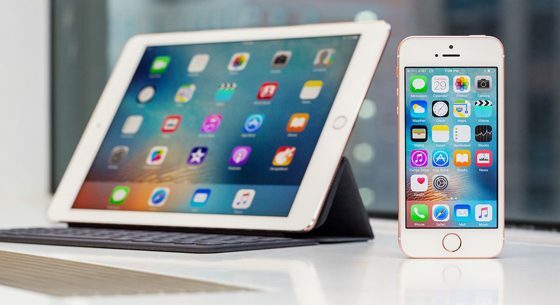 iOS 8 is the eighth major update for Apple’s iOS mobile operating system that runs on portable Apple devices like the iPhone, iPad and iPod Touch. Apple iOS 8 was introduced at the company’s 2014 Worldwide Developers Conference (WWDC) in early June 2014 along with OS X Yosemite, with official availability expected in the fall. The newly rolled out version of the operating system enables the developer to integrate some incredibly useful features and capabilities into their app, with the help of 4000 new APIs. These APIs will give apps developer the access to plenty of web tools and application software for creating apps successfully. If you are someone who hasn’t had a very good experience in developing applications, then the newly launched OS is the best Apple operating platform – that will definitely help you lessen your complaints extensively. Let us now look at some of the important developments of a new operating system that will help you in creating great mobile applications. By downloading and building a product via the SDK and Xcode 6, any iPhone app development company or individual interested in publishing their app can submit the ones written in Swift directly to the app store. The Health kit lets application developers add fitness related data into the app and share it with third-party apps. In contrast, the Home kit enables users to configure and control connected devices of their home. Can extend app’s functionality as well as content by providing an app extension – that is a code that helps to combine custom functionality inside the context of a task performed by an Apple device user. With the help of extensions, you can inject the power of your application in the device as and when required by your targeted users. With the help of the new CloudKit framework, you can retrieve your application data in an easy and secure way right from iCloud.